Cobo Vault is the world's first all-ạround secure, military-grade cryptocurrency hardware wallet, capable of withstanding a number of different extreme environments and attacks. Cobo Vault's completely air-gapped design (no USB, WiFi, 3G/4G, NFC, or Bluetooth connectivity) makes it ideal for protecting your assets. Cobo Vault's carrying case meets the MIL-STD-810G standard for durability. The Cobo Vault device also meets MIL-STD-810G standards for temperature shook, salt/fog resistance, vibration, and high/low temperature usage and storage. Cobo Vault is also IP68 water resistant and IK9 impact resistant. Cobo Vault supports BTC, ETH, BCH, ETC, DASH, LTC, TRON, and EOS, as well as Ethereum, EOS, and Tron-based tokens. 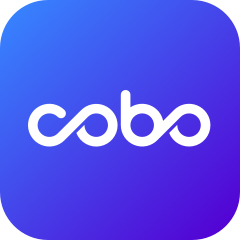 Cobo Vault also supports BTC and ETH multisignature transactions, making it the perfect wallet for families, enterprises, and organizations. Cobo Vault is resistant against a variety of hacks, including man-in-the-middle, evil maid, and circuit hacks (not to mention a $5 wrench attack!). If tampered with, Cobo Vault will self-destruct in order to prevent hackers from gaining access to your private keys. When users first receive their Cobo Vault device, they are asked to verify its authenticity via our official website to ensure that their device has not been intercepted and tampered with along the way. Cobo Vault uses a bank-grade encryption chip to store users' private keys and firmware (implementing BIP 32/39/44). Whether generating seeds or signing transactions, all sensitive functions take place within the safety of the encryption chip, making sure your private keys are never exposed. Effortlessly swap out a new battery to extend the lifespan of your device. Our patent-pending battery design helps prevent battery corrosion from damaging the main device. USB, WiFi, Bluetooth, NFC, and 3G/4G capabilities have been removed to eliminate data transfer vulnerabilities. Don't risk putting your assets all in one basket. Create multiple Vault profiles managed under a single set of mnemonic phrases, accessible via a secret password and portal. No one but you can know how many Hidden Vaults exist within your Vault.